We took the kids out for dinner to celebrate #3's results and decided to try the new Japanese restaurant Koji Sushi Bar at Pickering street. 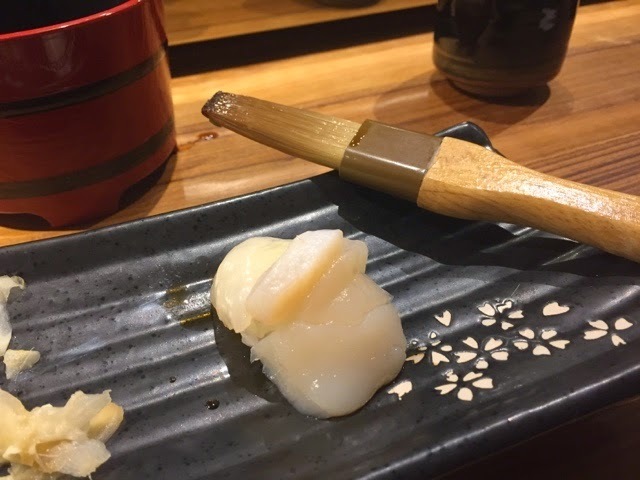 Besides the usual menu, they have Omakase which literally translates as 'chef decides'. 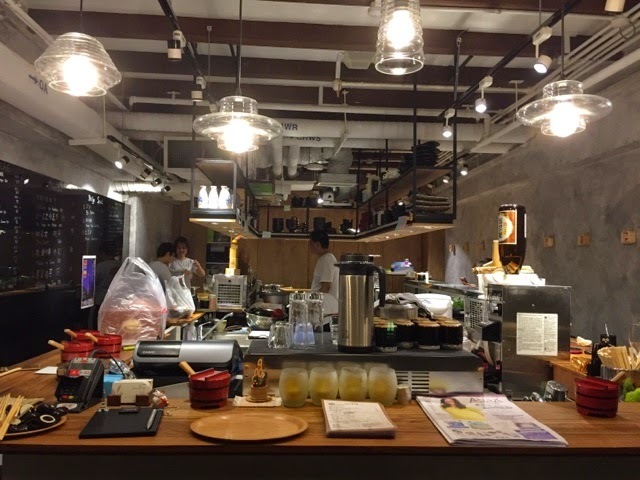 There is no menu, and the chef is free to whip up a Japanese style 11-course meal with whatever fresh ingredients he has on hand. When you make a booking, they will enquire if there are any foods which you do not eat. 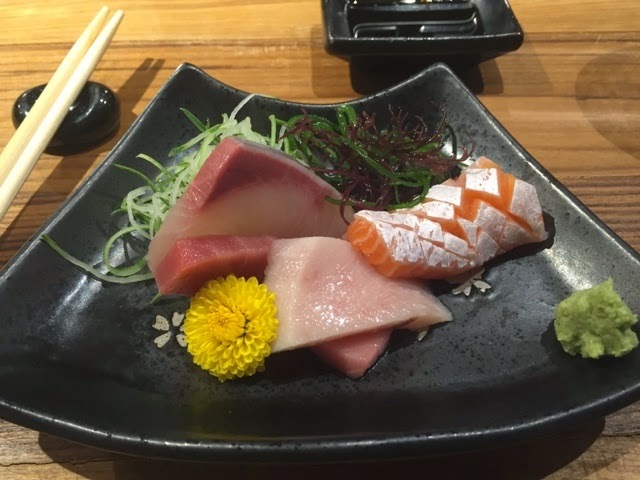 This is our first time trying Omakase, which seems to be all the rage now, and we went for the $100 nett dinner. Most times I find it hard to decide what to eat, so I was happy to go with the flow and be surprised by the dishes. 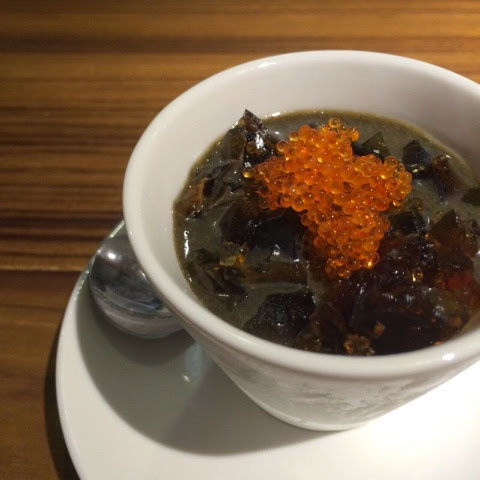 We started off with a cold dish of century egg tofu with tobiko (flying fish eggs). Very yummy. 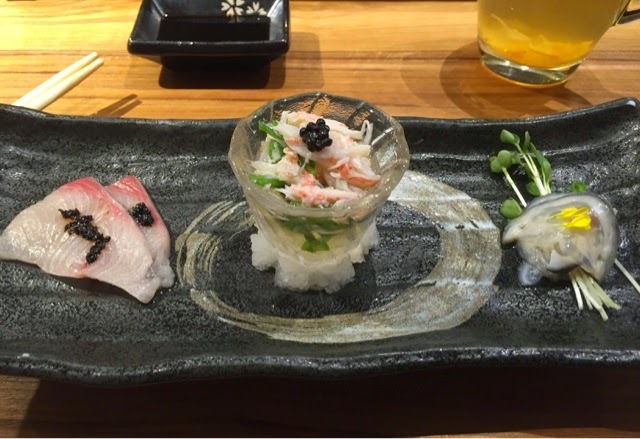 Next came a simple platter comprising of hamachi with truffle, snow crab and fish cartilage. Fish cartilage! 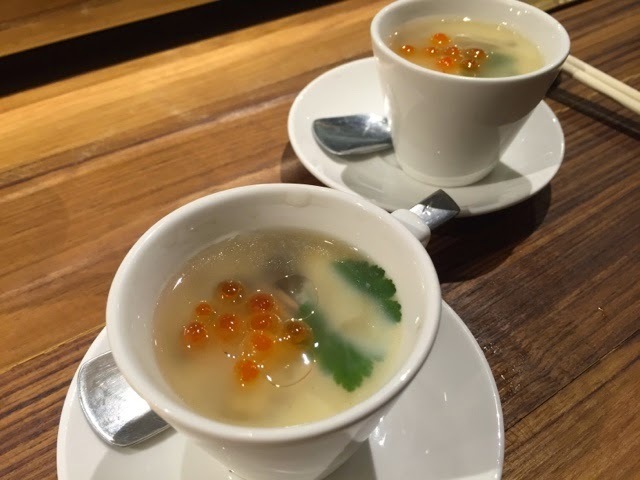 We all love chawanmushi (steamed egg custard), and this version with truffle oil was delicious. After all those interesting light dishes, they proceeded to serve single portions of sushi one after another. 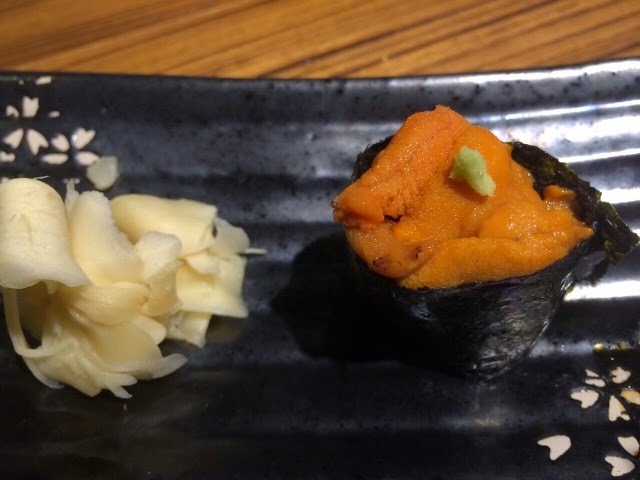 As expected of any respectable Japanese establishment, very fresh Uni (sea urchin) sushi was included in the line-up. The kids enjoyed 'painting' their sushi with soya sauce. The older ones tried mini bites of the more exotic sashimi like the uni and scallop but didn't like them, so the hubs and I had extra portions! 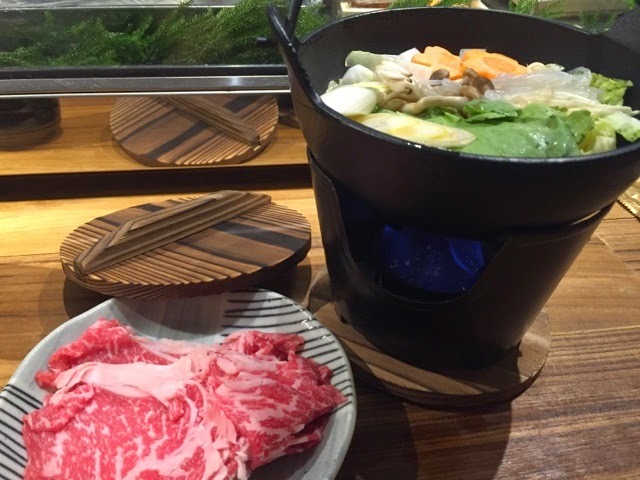 Just as I felt I couldn't eat another piece of sushi, along came a nice hotpot with slices of raw wagyu beef. It was truly a lovely dining experience. Great for people like me who can't decide what to eat, are open to trying new food and love surprises! Koji is a cosy little establishment, so do make reservations. Prior booking of at least 2 days notice is required for their Omakase menu. Let them know your budget (starts from $80 nett). We were informed that the central air-con switches off at 10pm so don't expect to hang around till late. There were some bronze statues of coolies some steps away from Koji and we ended the night having a great time taking funny pictures and laughing about how much (or little) we knew about the history of Singapore.